What Makes Real Property Management Humboldt Shine? As a rental property owner in McKinleyville, hiring the right property management company can mean the difference between success in real estate investing and a life full of stress, hard work, and frustration. Property management is a 24/7 job, and the more rental homes you own, the more time and effort is needed to properly take care of each one. It makes sense to get a property manager to assist with the workload and keep your rental homes occupied and profitable. Still, the wrong property manager can actually aggravate matters by making costly mistakes. Other property management companies would rather have you guess or work it out all on your own instead of spending the time needed to evaluate the rental market and set the best monthly rate. The wrong monthly rate can be troublesome for two reasons: you may experience problems renting your property if the rent’s too high, but if it’s too low, you would lose rental income every month or even run the risk of potential residents assuming that the property has issues. When the property managers at Real Property Management Humboldt initially sign on with an owner, they immediately begin a comprehensive property evaluation to make sure that the rental home is equipped to attract high-quality renters. The condition of the home is evaluated, along with the current rental market, to make certain that your rental homes are competitively priced. Another costly mistake other property management companies often make is in the way they appeal to and screen potential tenants. Certain property managers don’t go past setting up a sign in the yard and simply running the credit history of the applicant, neither of which is sufficient to acquire quality tenants. Every rental applicant Real Property Management Humboldt considers is meticulously screened with full background checks that include credit, criminal, past rental, and income history. We want to fill vacancies with quality tenants who are going to care for your rental property throughout their stay as well as observe to the terms of your lease. Once new renters have signed a lease, other companies will often disregard all requests for maintenance and repair, forcing their tenants to live with problems that may have been initially small but might eventually become expensive repairs. As frustrated renters rarely stay long in a home where their property manager ignores or rejects reasonable requests, these companies often have a high turnover. 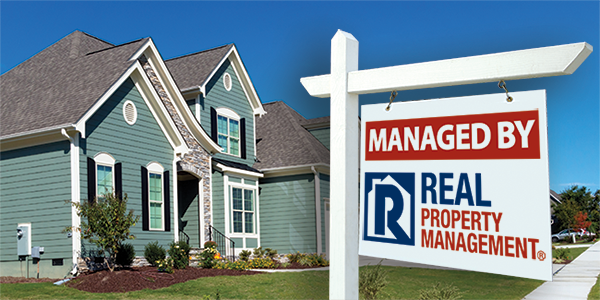 At Real Property Management Humboldt, we take a proactive management approach to all repairs and maintenance. We give a password-protected account to our owners, through which they can access maintenance and repair information on their properties at any time. Monthly financial statements and clear, up-front fees give you control over your investment. When a renter signs a lease with Real Property Management Humboldt, they sign their name to specific, legally binding documents that are designed to state the terms as well as the consequences of violating those terms. From day one, they know that their property manager will be monitoring the property on a regular basis, which is going to help them remain vigilant. Compared to these other business models, Real Property Management Humboldt is highly regarded for delivering quality, inclusive service – and for good reason. For over thirty years, we have made providing a unique approach to property management that puts the industry’s best practices and top tools at your fingertips our top priority. As a McKinleyville rental property owner, a property manager who is going to strive to secure your investment without disrupting your life is necessary. By choosing Real Property Management Humboldt, you are choosing real peace of mind. Would you like any additional information? Please contact us online or give us a call at 707-444-3835 today.